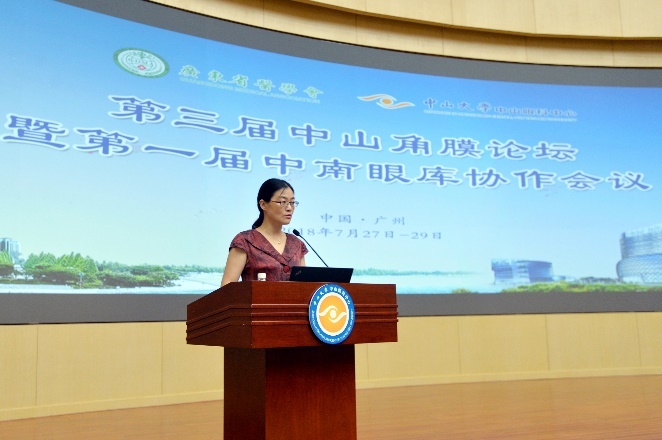 The third Zhongshan Corneal Forum with the First South Central Eye Bank Collaborative Conference were successfully held in Guangzhou on July 28. 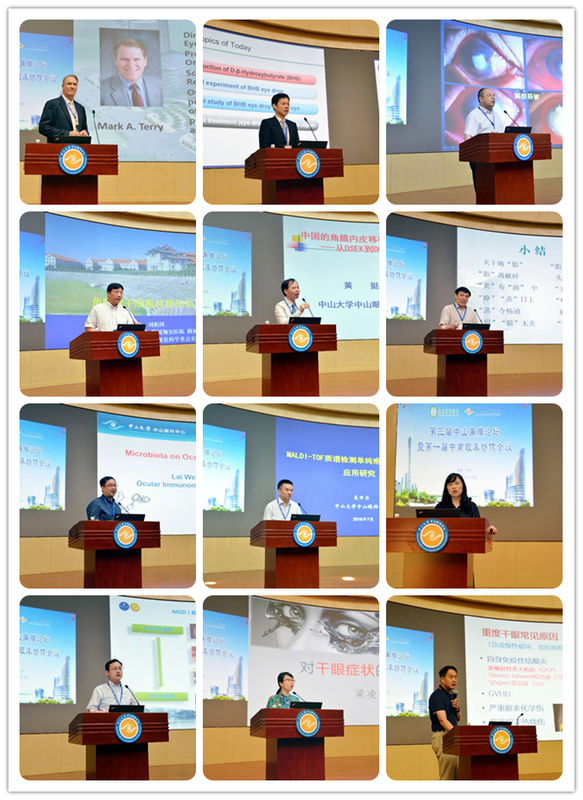 Professor Liu Yizhi, the Director of Zhongshan Ophthalmic Center attended and delivered the opening speech. Professor Mark A Terry from the United States and Professor Tetsuya Kawakita from Japan, and Professor Liu Zuguo, Shi Weiyun, Huang Yifei, Wang Zhichong, Yan Xiaoming, Zhang Mingchang, Li Guigang, Jin Xiuming, Yuan Jin, Liang Lingyi and other well-known domestic corneal specialists were invited to present their research and experience. 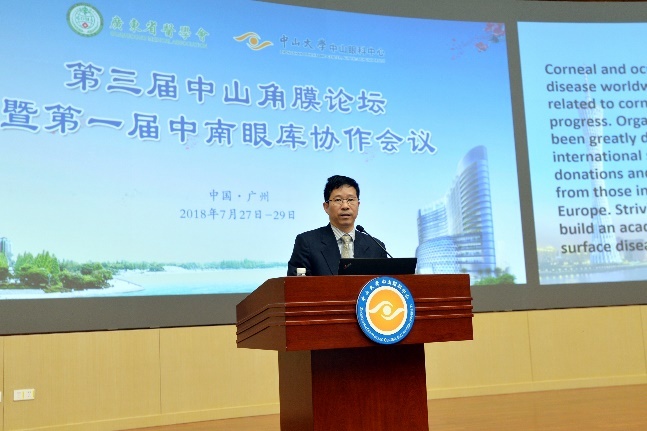 Professor Li Jindong, Yao Xiaoming, Wu Yanling, Ji Jianping, Qv Zhiguo, Yin Yong and Li Jiannan, as the specialists in corneal donation and eye bank management were invited to share their experience. The South Central Eye Bank Collaborative Organization were established by 20 eye banks from 8 provinces in South Central China. 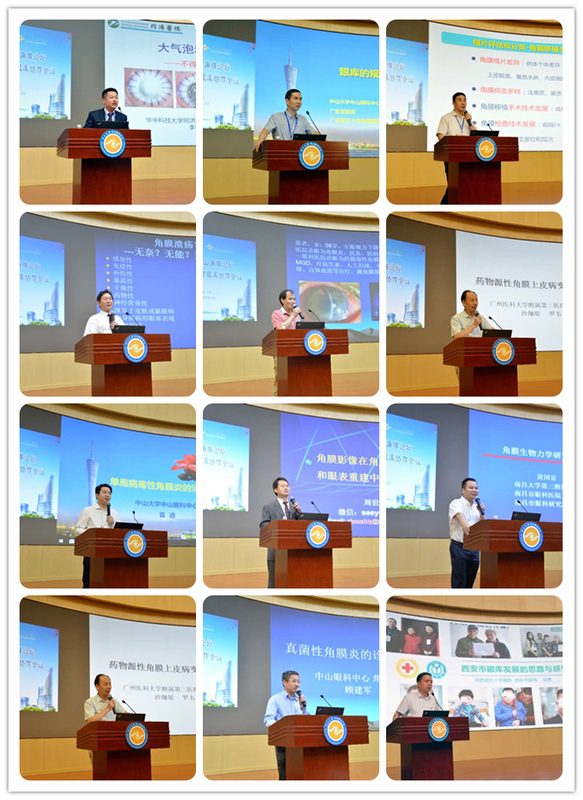 The training classes of corneal endothelial transplantation and eye bank technique were respectively held on July 27th and 28th, which promoted the progress of diagnosis and treatment of corneal and ocular surface diseases, and the development of China's eye banks. 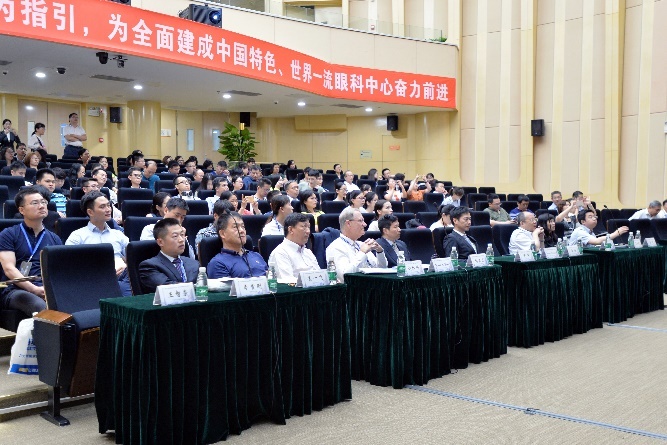 Over 220 eye doctors and eye-bank staff from 20 provinces attend meeting and training class. 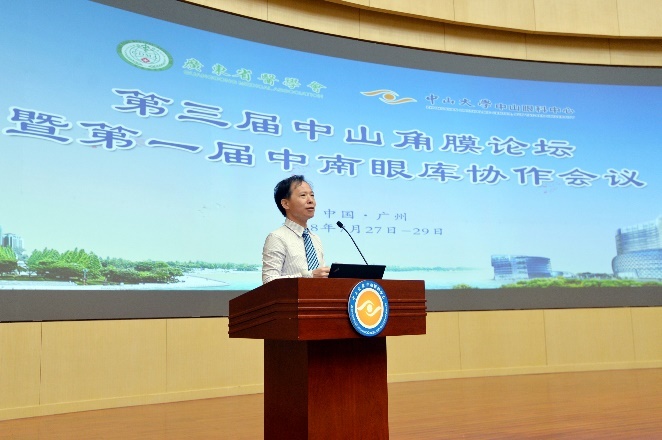 Professor Huang Ting, the director of Corneal Disease Department, Zhongshan Ophthalmic Center took the chair of this meeting.